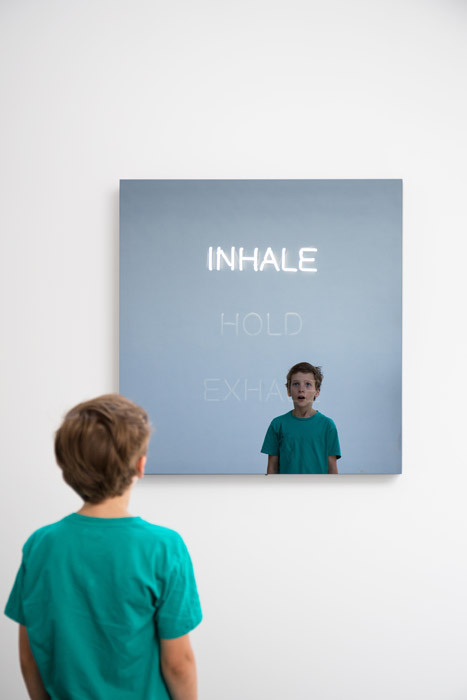 With “Inhale – Hold – Exhale” Kunstmuseum Thun will show the first institutional exhibition of the Danish artist Jeppe Hein in Switzerland, which was developed in close cooperation with the artist. Sometime ago Hein had to rethink his previous way of life and learn to listen to his body again. Conscious breathing became an important element in his everyday life. 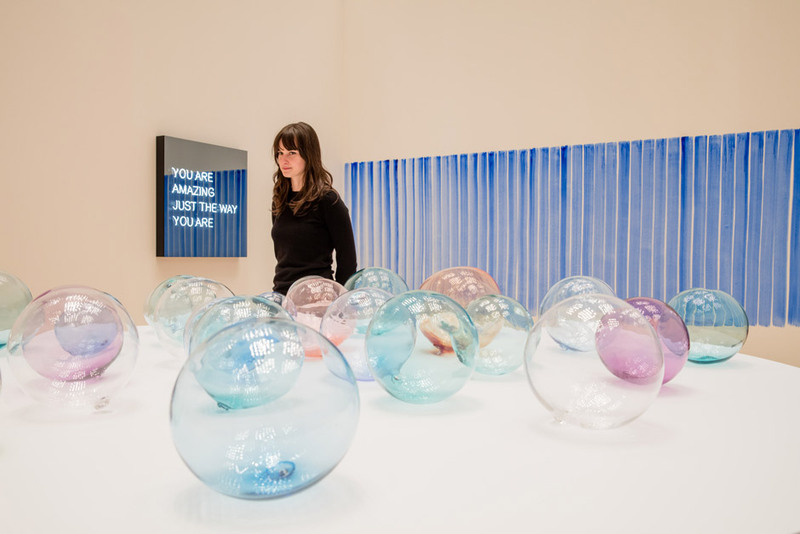 Now the subject of breath is the focus of the exhibition, which becomes a sensual course through different installations. Hein’s works stimulate the active perception of body, mind and soul, seduce people to slow down and motivate them to have their own experiences. Hein transforms the visitors into actors with his interactive works of art and surprises with the unexpected. 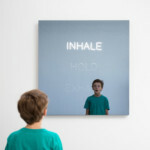 The exhibition “Inhale – Hold – Exhale” shows a large selection of Jeppe Hein’s works of recent years, partly in relation to his burnout in 2009. The way back to everyday life brought him new insights about himself and gave him the opportunity to replenish his life with new perspectives and set new priorities. Far Eastern philosophies and practices such as Buddhism, yoga and meditation are important elements in his art. In various ways, the exhibition in the Kunstmuseum Thun takes up the subject of breath and Hein’s examination of it. Breath becomes an important element, whether for relaxation, to find balance in the world, to bring oneself back into the here and now or as a tool for his artworks. 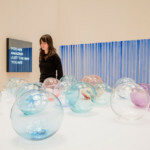 For example, the watercolours “Breathing Watercolours” (since 2012) and “Frequency Watercolours” (since 2013) emerged in this way, which were guided by his breath or created in its rhythm, delicate glass balls filled with his breath – “Breath” (2018) – or a reflective neon box – “INHALE HOLD EXHALE” (2016), which guides the viewer to consciously breathe. In addition to joyful and humorous works there are serious and thoughtful ones: The series of 2341 watercolours “I am right here right now II” (2011/2015) impressively reflects Hein’s soul image and is the result of an intimate, diary-like ritual. In Hein’s oeuvre, the dialogue between the artwork and the viewer plays an important role. He sees his art as a tool for communication and asks people to do something, so that they themselves become part of the work. Here, the opposite of what visitors usually expect in an art museum manifests itself: instead of the usual interdiction of not to touch or to feel anything, they should interact with the work and immediately experience the works of art. 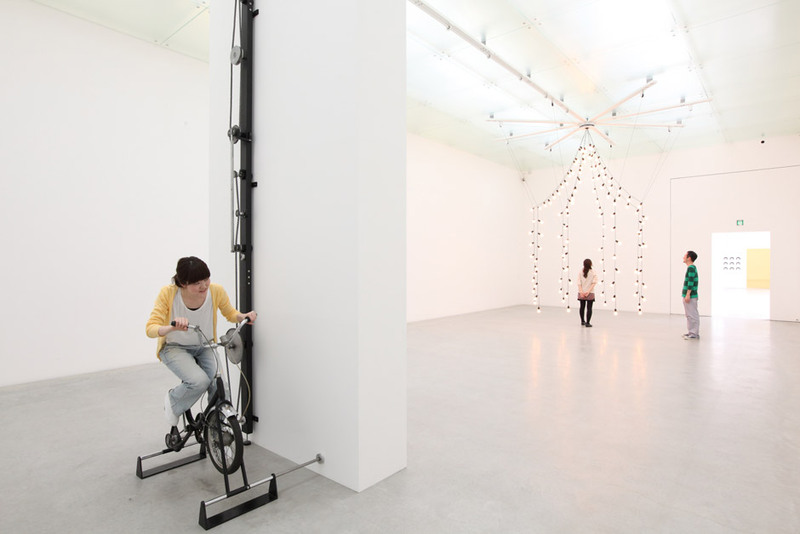 For example, in “Light Pavilion I” (2009), the installation encourages you to pedal an exercise bike so that a string of lights “grows” into an illuminated pavilion. The installations in the exhibition form a sensual course. Hein’s works refer to the active perception by all senses and are an invitation to amazement, to slow down and also to smile. In this way, for example, in the work “Invisible Labyrinth” (2005), the visitors are guided through a labyrinth over vibrating headsets – a labyrinth without walls. Furthermore, personal artworks can be created in the singing bowl workshop. Rhythmic beats bring the bowls into vibration and gradually transfer the colour therein to the paper. 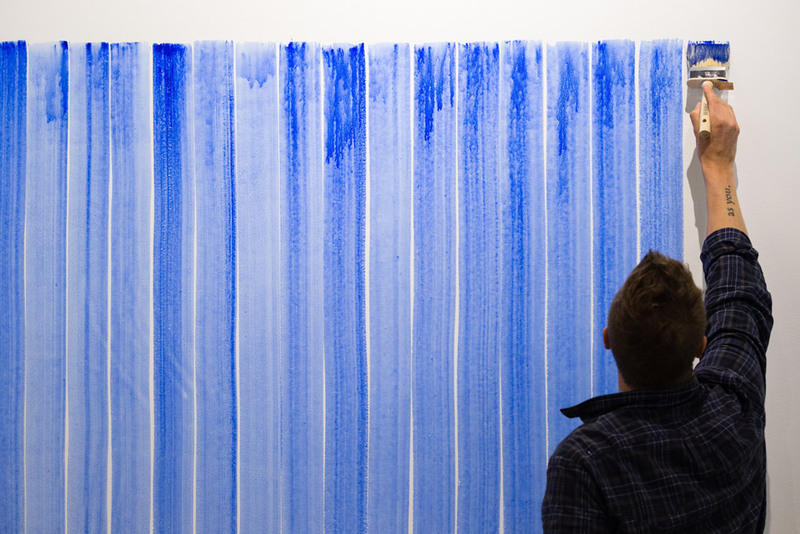 In the installation “Breathing Watercolours” (2018), the visitors are asked to paint vertical blue brushstrokes on the museum walls according to the rhythm of their breathing. Over the course of the exhibition, a collection of collective breaths is gradually created, transforming the museum into an impressive chamber of resonance. Moreover, a red bench designed by Hein, the “Modified Social Bench NY #13” (2015), is positioned in front of the museum, which not only invites you to sit and relax and point to the exhibition, but also by its very own sculptural appearance, encourages and changes the conversation and interaction among the users, viewers and passers-by. 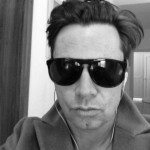 Jeppe Hein (*1974 in Copenhagen, lives and works in Berlin) studied at the Royal Danish Academy of Arts in Copenhagen and at the State Academy of Fine Arts Städelschule in Frankfurt am Main. Hein is known for his experimental and interactive works of art that can be positioned at the interface of art, architecture and technical invention. They are characterised by their formal simplicity and their humorous implementation. Hein’s works are in a lively dialogue with the traditions of minimalism and conceptual art of the 1970s. His works often show surprising and fascinating elements that put the viewer in the centre of the action and question his perception. Selected solo exhibitions include: Château La Coste, France (2017); Kistefos-Museet, Jevnaker, Norway (2016); Kunstmuseum Wolfsburg, Germany (2015); Brooklyn Bridge Park New York, Public Art Fund, USA (2015); LiFE-Lieu International des Formes Emergentes, St. Nazaire, France (2014); Bonniers Konsthall, Stockholm and Wanås Konst, Sweden (2013); 21st Century Museum of Contemporary Art, Kanazawa, Japan (2011); IMA – Indianapolis Museum of Art, Indianapolis, USA (2010); ARoS Kunstmuseum, Aarhus, Denmark (2009); Contemporary Art Gallery, Vancouver, Canada (2009); Carré d’Art, Musée d’art contemporain de Nîmes, France (2007); Sculpture Center, New York, USA (2007); The Curve, Barbican Art Centre, London, Great Britain (2007); Centre Georges Pompidou, Paris, France (2005); MOCA, Los Angeles, USA (2005); P.S.1. MOMA, New York, USA (2004). The question of how to capture breath is investigated with the project “aus+ein” by Sofie Hänni and Mara Schenk, two students of the master degree programme Art Education at the Bern University of the Arts. Different institutions are visited with the “Atemobil” to collect answers to the question from different perspectives. 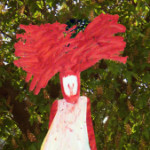 Thereby the creative reactions of the students are documented and collected on a website. The “aus+ein” project thus becomes an exchange platform, a collective pool, discovery space, meeting place and production location. Mit “Einatmen – Innehalten – Ausatmen” zeigt das Kunstmuseum Thun die erste institutionelle Einzelausstellung des dänischen Künstlers Jeppe Hein in der Schweiz, die in enger Zusammenarbeit mit dem Künstler entstanden ist. Vor einiger Zeit musste Hein seine bisherige Lebensweise überdenken und lernen, wieder auf seinen Körper zu hören. Bewusstes Atmen wurde zu einem wichtigen Element in seinem Alltag. Nun steht das Thema Atem im Fokus der Ausstellung, die durch unterschiedliche Installationen zu einem sinnlichen Parcours wird. Heins Werke regen an, Körper, Geist und Seele aktiv wahrzunehmen, verführen zur Entschleunigung und motivieren zu eigenen Erfahrungen. Hein macht die Besuchenden mittels seiner interaktiven Kunstwerke zu Akteuren und überrascht mit Unerwartetem. Die Ausstellung “Einatmen – Innehalten – Ausatmen” zeigt eine grosse Auswahl von Jeppe Heins Werken der letzten Jahre, teilweise mit Bezug auf seinen Burnout im Jahr 2009. Der Weg zurück in den Alltag brachte ihm neue Erkenntnisse über sich selbst und gab ihm die Möglichkeit, sein Leben mit neuen Perspektiven zu füllen und neue Schwerpunkte zu setzen. So sind fernöstliche Philosophien und Praktiken wie Buddhismus, Yoga und Meditation wichtige Elemente in seiner Kunst. Auf unterschiedliche Weise greift die Ausstellung im Kunstmuseum Thun das Thema Atem und Heins Auseinandersetzung damit auf. Atem wird zu einem wichtigen Element, sei es zur Entspannung, um Balance in der Welt zu finden, sich ins Hier und Jetzt zurückzubringen oder als Werkzeug für seine Kunstwerke. 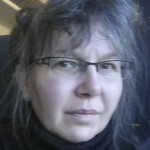 So entstanden etwa die Aquarelle “Breathing Watercolours” (erstmals 2012) und “Frequency Watercolours” (erstmals 2013), die von seinem Atem geführt oder in dessen Rhythmus geschaffen wurden, filigrane, mit seinem Atem gefüllte Glaskugeln – “Breath” (2018) – oder eine spiegelnde Neonbox – “INHALE HOLD EXHALE” (2016), die den Betrachter anleitet, bewusst zu atmen. Neben lustvollen und humorvollen Werken stehen ernsthafte und nachdenkliche Arbeiten: Die aus 2341 Aquarellen bestehende Serie “I am rigth here right now II” (2011 / 2015) spiegelt eindrücklich Heins Seelenbild und ist das Resultat eines intimen, tagebuchartigen Rituals. In Heins Oeuvre spielt der Dialog zwischen Kunstwerk und Betrachtenden eine wichtige Rolle. 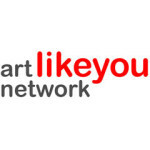 Er sieht seine Kunst als Werkzeug zur Kommunikation und fordert Menschen auf, etwas zu machen, sodass sie selbst Teil des Werks werden. Hier manifestiert sich das Gegenteil von dem, was die Besucherinnen und Besucher normalerweise in einem Kunstmuseum erwartet: Anstatt nichts zu berühren und anzufassen, sollen sie mit den Arbeiten interagieren und die Kunstwerke unmittelbar erfahren. Etwa mit “Light Pavillon I” (2009): Die Installation animiert, ein Trimm-dich-Rad zu treten, damit eine Lichterkette zu einem Lichterpavillon “wächst”. Die Installationen in der Ausstellung bilden einen sinnlichen Parcours. Heins Werke beziehen sich auf die aktive Wahrnehmung aller Sinne und sind eine Einladung zum Staunen, zur Entschleunigung und auch zum Schmunzeln. So etwa die Arbeit “Invisible Labyrinth” (2005), bei der die Besuchenden mittels vibrierender Headsets durch ein Labyrinth geleitet werden – ein Labyrinth ohne Wände. Weiter können im Klangschalen-Workshop persönliche Kunstwerke geschaffen werden. Rhythmische Schläge bringen die Schalen in Schwingung und übertragen die darin enthaltene Farbe allmählich aufs Papier. 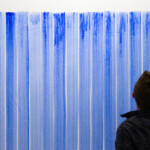 Bei der Installation “Breathing Watercolours” (2018) sind die Besuchenden aufgefordert, atmungsabhängig vertikale blaue Pinselstriche auf die Museumswände zu malen. Dabei entsteht über die Dauer der Ausstellung nach und nach eine Sammlung kollektiver Atemzüge, die das Museum in einen stimmungsvollen Resonanzraum verwandeln. Vor dem Museum wird ausserdem eine rote, von Hein gestaltete Sitzbank, die “Modified Social Bench NY #13” (2015) positioniert, die nicht nur zum Sitzen und Entspannen einlädt und auf die Ausstellung verweist, sondern durch ihre ganz eigene skulpturale Erscheinung die Konversation und die Interaktion unter den Nutzern, Betrachtern und Passanten anregt und verändert. Jeppe Hein (* 1974 in Kopenhagen, lebt und arbeitet in Berlin) studierte an der Royal Danish Academy of Arts in Kopenhagen und an der Staatlichen Hochschule für Bildende Künste – Städelschule in Frankfurt am Main. Hein ist bekannt für seine experimentellen und interaktiven Kunstwerke, die an der Schnittstelle von Kunst, Architektur und technischen Erfindungen positioniert werden können. Sie zeichnen sich durch ihre formale Schlichtheit und ihre humorvolle Umsetzung aus. Heins Werke stehen in einem lebendigen Dialog mit den Traditionen des Minimalismus und der Konzeptkunst der 1970er Jahre. Seine Arbeiten zeigen oft überraschende und faszinierende Elemente, die den Zuschauer in den Mittelpunkt des Geschehens stellen und dessen Wahrnehmung hinterfragen. Ausgewählte Einzelausstellungen umfassen: Château La Coste, Frankreich (2017); Kistefos-Museet, Jevnaker, Norwegen (2016); Kunstmuseum Wolfsburg, Deutschland (2015); Brooklyn Bridge Park New York, Public Art Fund, USA (2015); LiFE-Lieu International des Formes Emergentes, St. Nazaire, Frankreich (2014); Bonniers Konsthall, Stockholm und Wanås Konst, Schweden (2013); 21st Century Museum of Contemporary Art, Kanazawa, Japan (2011); IMA – Indianapolis Museum of Art, Indianapolis, USA (2010); ARoS Kunstmuseum, Aarhus, Dänemark (2009); Contemporary Art Gallery, Vancouver, Kanada (2009); Carré d’Art, Musée d’art contemporain de Nîmes, Frankreich (2007); Sculpture Center, New York, USA (2007); The Curve, Barbican Art Center, London, Großbritannien (2007); Centre Georges Pompidou, Paris, Frankreich (2005); MOCA, Los Angeles, USA (2005); P.S.1. MOMA, New York, USA (2004). Mit dem Projekt “aus+ein” von Sofie Hänni und Mara Schenk, zwei Studentinnen des Master-Studiengangs Art Education der Hochschule der Künste Bern, wird der Frage nachgegangen, wie sich Atem einfangen lässt. Mit dem “Atemobil” werden unterschiedliche Institutionen besucht, um aus verschiedenen Perspektiven Antworten auf die Frage zu sammeln. 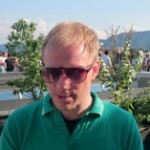 Dabei werden gestalterische Reaktionen der Kursteilnehmenden dokumentiert und auf einer Webseite gesammelt. Das Projekt “aus+ein” wird so zur Austauschplattform, zum Fundus, Entdeckungsraum, Begegnungs- und Produktionsort.